This tutorial explains how to setup the IPS system to block ssl certificates based on their SHA1 fingerprint. Always upgrade to latest release first. See Initial Installation & Configuration and/or upgrade to latest release: System ‣ Firmware ‣ Fetch updates. Select the tab User defined. Select to add a new rule. It is relatively easy to find out the SSL fingerprint of a website. For demonstration we will block facebook and use Firefox to determine the fingerprint. 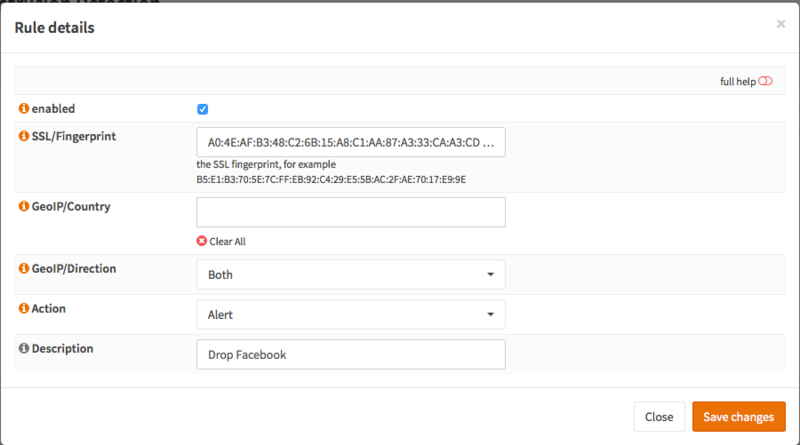 Open your browser and go to https://facebook.com when loaded click on the lock next to the address : . Copy the SHA1 certificate fingerprint (A0:4E:AF:B3:48:C2:6B:15:A8:C1:AA:87:A3:33:CA:A3:CD:EE:C9:C9). 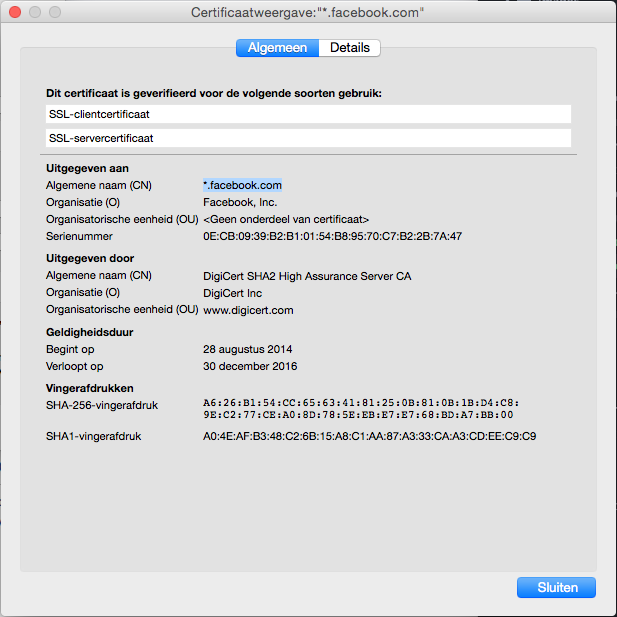 If the browser has cached the certificate no SSL certificate exchange will be done and the website will not be blocked.